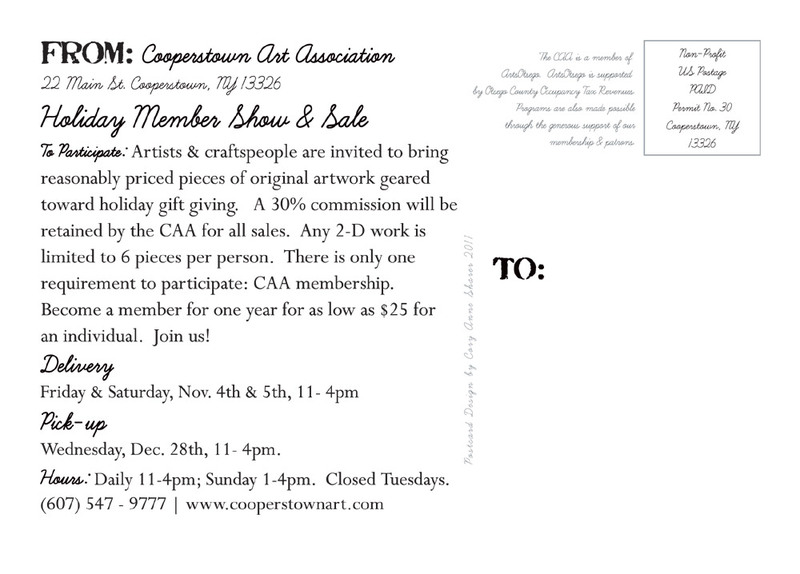 This is a promotional mailer I developed for the annual exhibit: the Holiday Member Show & Sale at the Cooperstown Art Association. I developed the visual concept and theme for the print materials. 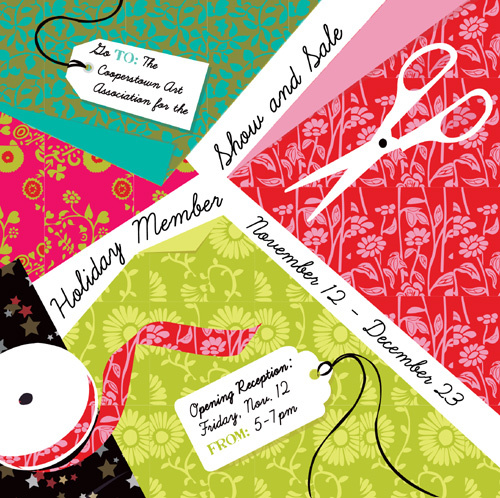 They consist of my original vector artwork created in Adobe Illustrator and Photoshop. They are intended to convey the exhibit as festive, rich and exciting. I also applied this design to create emails, ads, website graphics, signage & social media promotion.